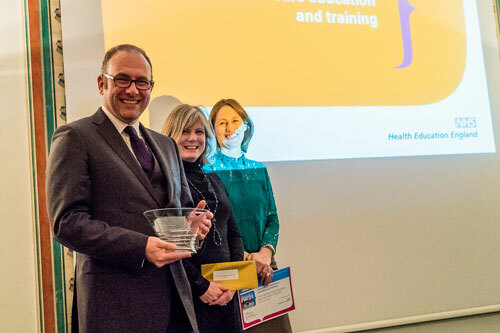 Staff and students from the School of Health Sciences brought home two big prizes at the recent Health Education North Central and East London (HENCEL) Quality Awards 2015. John Lawlor won the Student of Year category while Lorna Saunder, Sandra Partington and Steve McCombe won the first prize of £10,000 in the Innovation in Healthcare Education and Training category for their work on CityScape, a multi-media resource targeted at improving healthcare of people with learning disabilities. Betsy Scott from City and Laura Pisaneschi, a staff Nurse at East London NHS Foundation Trust, were also highly commended in the Collaboration and Partnership category for their work for the London Association of Mental Health Nursing Practice (LAMP). 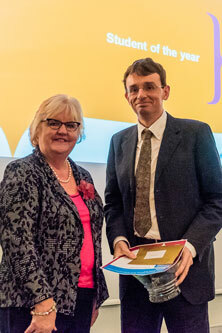 In the Student of the Year category, John Lawlor won for his creation of an ‘Introduction to transgender’ resource as part of his work-based elective module. The resources focused on social, legal and mental health aspects of transgender, and involved John accumulating a degree of specialist knowledge and then creating a resource which can be distributed through a variety of media. John also presented an extension of this work at Health Has Got Talent in 2015, contributing to one of the 2nd place entries. In the Innovation in Healthcare Education and Training category the City team won for their work on CityScape. Aimed at improving the healthcare of people with learning disabilities, CityScape uses videos, audio interview, text, quizzes, interactive images and web resources to take students through a simulated experience. 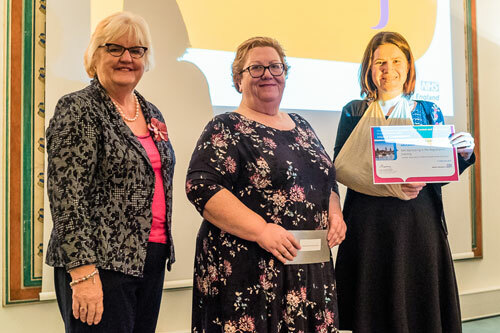 Shareville, the precursor to CityScape, was also highly commended at the awards two years ago, and the money was channelled into this new resource for adult, child and mental health nursing students. It is also related to work using simulation and role-play which earned 2nd place at Health Has Got Talent awards in 2015. The LAMP project, which aims to enable students to be the best newly qualified professions, benefitting service, care and outcomes, was also highly commended in the Collaboration and Partnership category. The London-wide practice education initiative is hosted by City University London and supported by the East London NHS Foundation Trust (ELFT) and HENCEL. Nine trusts, nine universities and one independent provider make up the current membership and representatives meet to undertake project work to improve the training of student nurses in clinical practice. “The number of awards and commendations we received at this year’s awards go to show what a fantastic range of talent and skills we have in the School of Health Sciences. It also shows what strong collaboration between the School and the Learning Enhancement and Development (LEaD) team at City can achieve.